David Lee Kegley, 61, of Tollesboro, passed away Monday July 17, 2017, at his home. 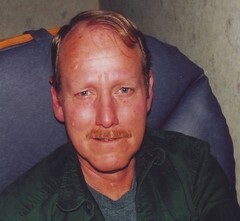 David was born at Stricklett November 17, 1955, to Glen Willard and Ruby Bush Kegley of Petersville. David was a carpenter by trade. He enjoyed woodworking making various things, and was an avid hunter and fisherman. He was of the Baptist faith. Survivors include his wife of 40 years, Debbie Evans Kegley; two daughters, Andrea Kegley and Melissa Kegley, both of Vanceburg; a stepdaughter, Melissa Leach of Ft. Myers, Florida; two grandchildren, Emma and Aaron Skidmore; a step-granddaughter, Morgan Leach; and five sisters, Phyllis Carter of Cincinnati, Ohio; Naomi Kinsel (Jeff) Wadsworth of Firebrick, Glenda (Eddie) Gayheart of Garrison, Rhonda (Gary) Laney of Vanceburg; and Arlene (Eli) Allen of West Portsmouth, Ohio. Visitation will be Thursday, July 20, 2017, from 5:00 p.m. Until 8:00 p.m. and Friday from 8:00 a.m. until th time of services at Gaydos Funeral Home, 159 Second Street in Vanceburg. Services will be Friday, July 21, 2017, at 11:00 a.m. at Gaydos Funeral Home. Burial will be in Cooper-Willis Cemetery at Garrison at the convenience of the family. Condolences may be sent at www.gaydosfhcom.